Last month, the mobile RPG Shin Megami Tensei: Liberation Dx2 held a collaboration with the Bayonetta series and, following this, Sega Games has announced that there will be a collaboration for Devil May Cry 5. The collaboration will begin on March 14, and a special collaboration website has been launched for it. 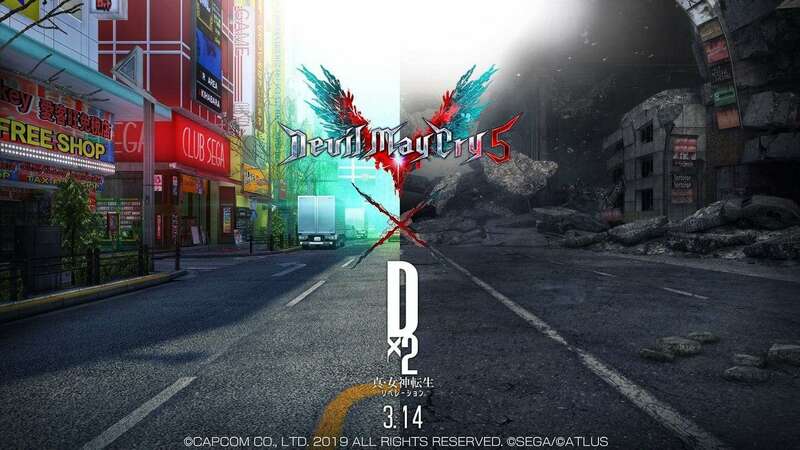 The characters from DMC5 will be featured in this collaboration, including the Young Devil Hunter Nero, the World-Famous Dante, and the mysterious “V.” There will be an original story, with the complete supervision of Capcom. To celebrate the collaboration with DMC5, there will be a Twitter/Facebook campaign and countdown login bonus.